Simmons Bank Arkansas Big Bass Bonanza partners with Navionics to bring sonar charts to the everyday angler. Little Rock, AR – They say knowledge is power, but in fishing knowledge is money. 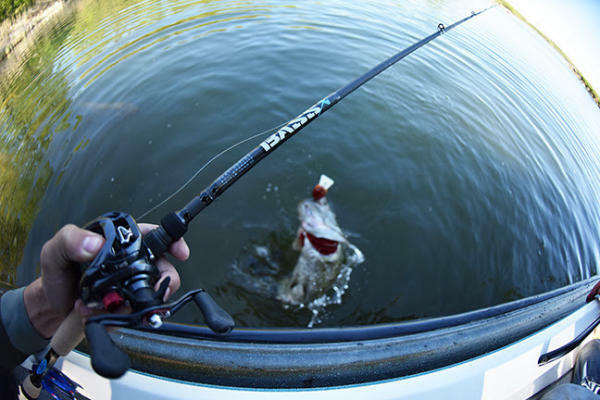 Top-level professional bass fishing circuits like FLW and B.A.S.S. routinely pay out $100,000 or more for anglers who bring in the biggest bags of fish over a three or four-day period. Total weights at those tournaments can tally up to over 100 pounds of bass. That’s a ton of work for one check. But this year, amateur anglers in Arkansas have a chance to bring home their own check for just one fish — a check worth $50,000. That’s the winning prize for the angler who catches the largest bass on the Arkansas River June 29 through July 1 in this year’s Big Bass Bonanza. 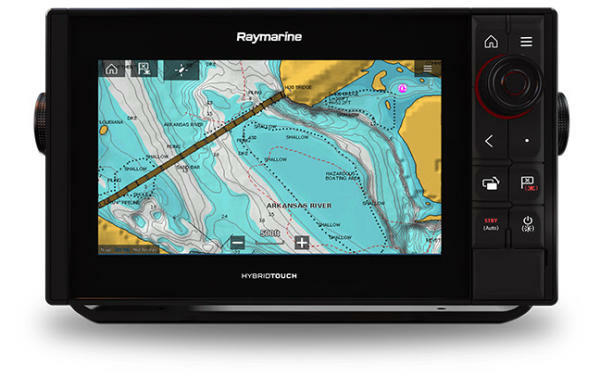 And now, thanks to a partnership with marine navigation company Navionics, every angler with a smartphone will have access to the same type of charts that pro-level anglers do. Bassmaster Elite Series pro and Hot Springs native Stephen Browning is fresh off the heels of his own $50,000-plus victory at Mississippi’s Ross Barnett Reservoir this spring. 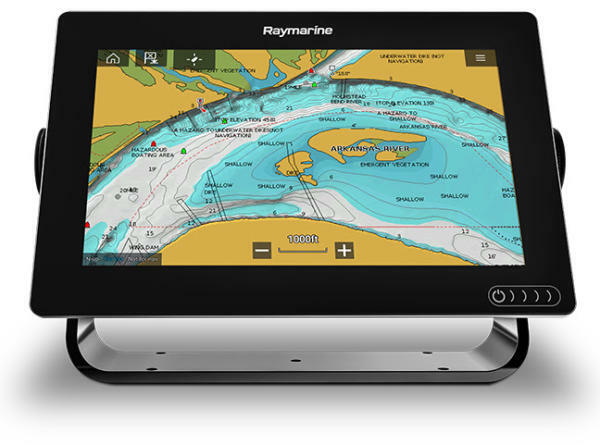 There, Browning relied on the Navionics chart embedded in his pro-level Raymarine Axiom sonar to locate and catch the winning bass. Browning knows a thing or two about how important lake maps can be for finding fish. Top-notch sonar like Browning’s can run anglers several hundred to several thousand dollars, but that doesn’t mean anglers on a budget can’t take advantage of some of the same technologies, like first-class lake maps. New for this year, the Simmons Bank Big Bass Bonanza website is hosting interactive Navionics sonar charts for every pool in the tournament. "The online chart is exactly the same detail you get on Navionics plug and play cards and on our mobile app,” says Navionics National Sales Manager of the Americas Paul Michele, noting that Sonar Charts—the technology available on the Big Bass Bonanza website—can show lake contours down to one foot. That’s critical for a waterway like the Arkansas River, where navigation channels, submerged road beds and natural canals offer a bounty of habitat for heavyweight, big money bass. As for Browning? He will watch this year’s Big Bass Bonanza from the bank. 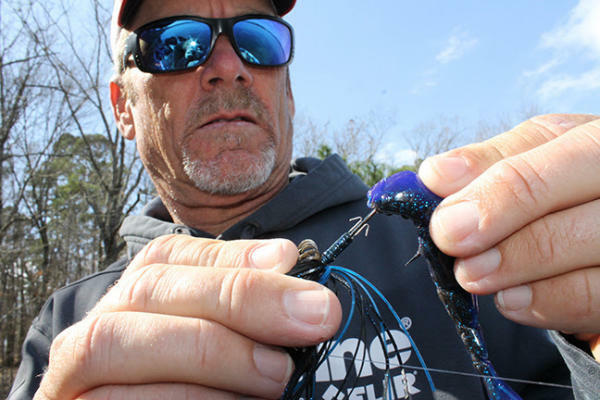 Only amateur anglers can fish this tournament; however, the veteran pro angler does offer up some advice for anyone hoping to cash their own big money check. Anglers can register by visiting ArkansasBigBass.com or at one of dozens of statewide registration sites listed online. Entry fees are $80 per angler, and those who enter before May 31 will qualify to receive special early bird prizes. 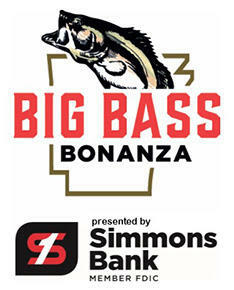 Stay up-to-date with the latest news and notes from the Simmons Bank Big Bass Bonanza via the tournament’s Facebook page. Major sponsors of the tournament are Simmons Bank, Academy Sports + Outdoors, Arkansas Game & Fish Commission and Hardee’s Saddle Peak. Other sponsors include Aqua-Vu, Raymarine, St. Croix Rod, BUFF®, Z-Man Fishing, LIVETARGET Lures, Old Post Lodge, Flambeau Outdoors, Seaguar, Heart of Arkansas, North Little Rock Visitors Bureau, Pine Bluff Convention & Visitors Bureau, and Russellville Advertising & Promotions. For more information on the tournament, registration sites and complete results, visit www.arkansasbigbass.com.